Just purchased a 2012 LS for what I think is a good price for a car in nice condition. Only seems to have a couple of minor issues. Rear defroster is not working. Would like to add a USB port if that is possible and remote start would be a nice add also. A full set of seat covers is on my list because I don't care for the color. I'll be going over it during the next couple of weeks to look for anything else out of wack. Welcome! you will find many threads regarding a rear defroster on an 8th gen not working. i personally used this thread for a fix, see if it applies to you:https://www.impalaforums.com/diy-how...-write-up.html. i will note, do not add an in line fuse, simply jumper it without a fuse. PS: we will need photos of said impala. tapatalk app on a smart device makes uploading photos a breeze. Thanks for the link. I'll try to get a look at it over the weekend. A little on the cold side a round here and since I don't have a garage it will be a challenge. Seeing if I can add a picture or two. Apparently most of my pictures are too large. USN24 and 14LimitedLT like this. WELCOME!! Nice Impala! Mine is a 12 as well.....These cars are solid as a rock. Can't wait to see more pics!!! I'm really happy with it so far. Did the fix to the rear defroster and changed the oil today. Looking around for some seat covers that fit in the budget. Gonna take some more search time. Nothing wrong with the seats, just don't care for the color. Another question. Where is the sticker with the RPO codes. Looked in a few places but haven't found it yet. I want to say, on my 2013, it's under the carpet on the trunk floor, near the right rear tail light. Good call. We were trying to look at what options are built in. Was hoping to find the code for remote start, no joy. Quick trip to the salvage yard yesterday was very successful. Picked up 4 out of 5 small items on my shopping list. Also ordered some seat covers from WM online. They had a fairly large selection and prices were good. Will post a picture when I get them installed. tonyc712000 and kbz1960 like this. 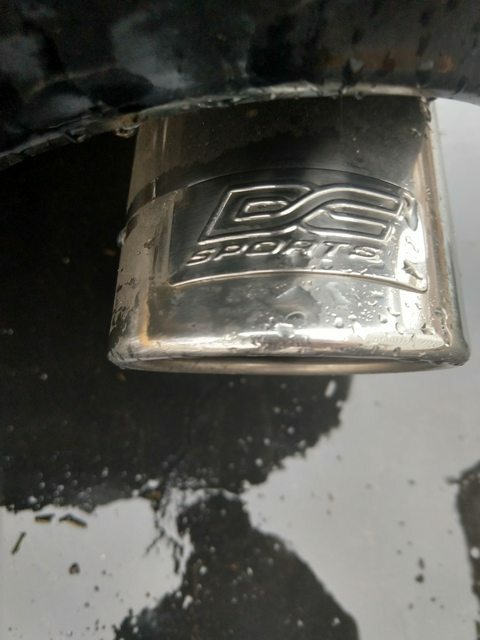 Hey tonyc712000, what exhaust tips did you use and where did you find them? I like the look. Thanks. No Pep Boys in this area but I can check Autozone. Probably just measure the pipes and buy some stock chrome to fit and tack it on.